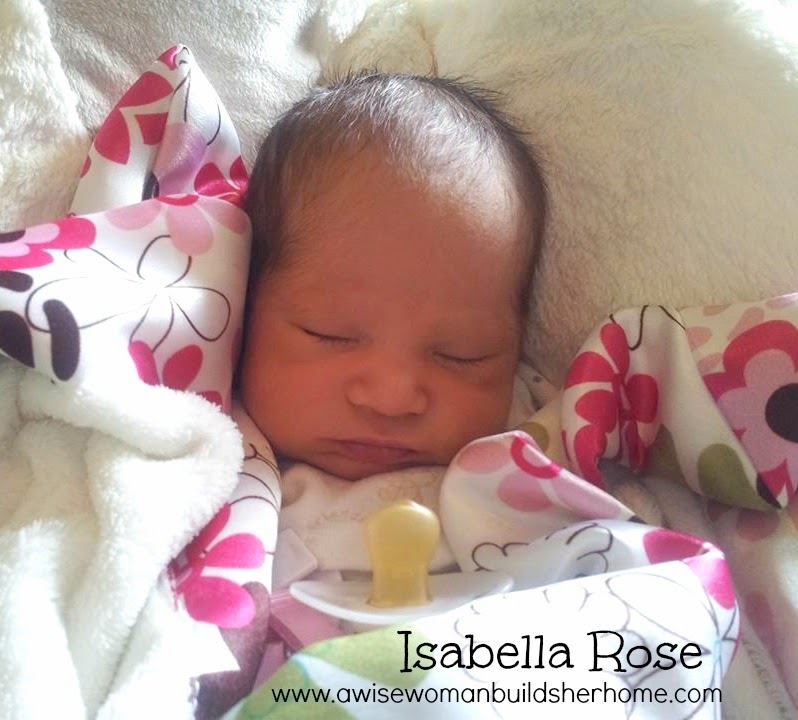 My new precious little girl, Isabella Rose, will be two weeks old now! We are definitely enjoying this season of slow, even though often times it still goes by as a blur. But it is a good and satisfying blur. We know these moments are fleeting so we are relishing every moment, allowing all the precious moments to linger. Like the smell of a newborn's head. Her small hand wrapped around my finger. When she coos and her first smile. When she blissfully falls asleep in my arms. When little brothers kiss her all over her face and her nose. When sister sings a sweet lullaby. When Mommy and Daddy fall in love with her over and over again. What a beautiful little girl. Congratulations and God's richest blessings on all of you. Beautiful baby! Beautiful name! Congratulations! Congratulations! Isabella Rose is adorable :) May GOD bless the little one and your family.